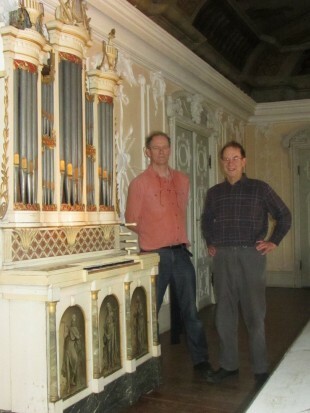 Andreas Beurmann added the late 18th century Dutch chamber organ which used to belong to Christopher Hogwood and before him to Thurston Dart to his collection. It looks magnificent and very appropriate in the main hall of Gut Hasselburg in Holstein, Germany, where he lives with his wife Heikedine Körting Beurmann, who took this picture. A report will shortly become available on this website.